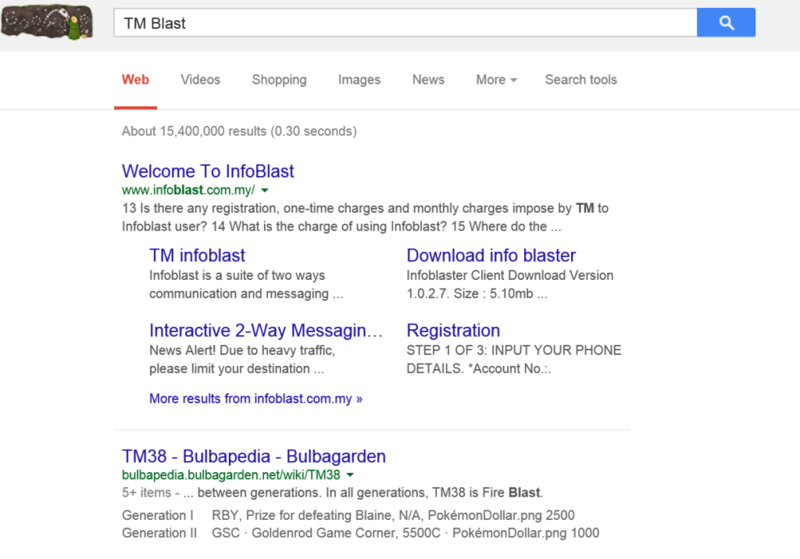 Today I would like to share a quick blog about how TM Blast shows up in all of the search results. I think this is really interesting how some search engines are not showing my name while others do. Fascinating stuff! In conclusion, what can we really draw from this experiment. Well to start Ask is an awful search engine. 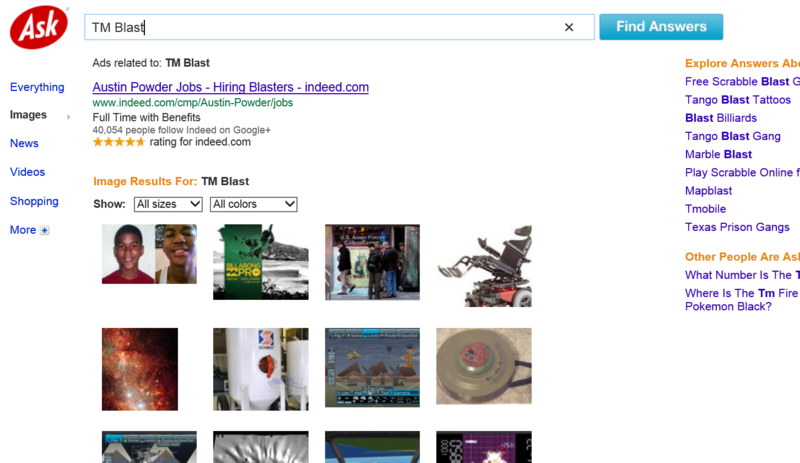 Nothing even was found in the search or image search for TM Blast. I am not shocked by that, but that was just something I figure I would conclude. Now for the real conclusion. I am amazed at how little results Google brought up. Google has crawled through my site faster than Bing (according to the webmaster tool for both parties) and yet still struggled to actually show any search result for my name and only brought back one picture. Bing was able to show my result, but it was the second result. I thought this was OK until I did the same experiment on Yahoo and Duck Duck Go. However, where Bing was able to perform was the image search. I feel that Bing did a good job, but when it comes to images they usually are my go to choice. Yahoo surprised me a lot. I was listed as the number one result for my name. What was even more impressive was that it was for my homepage and then they had another result on page 1 showing my blog. Again the image results were the same as Bing so both did a very good job with that. Duck Duck Go was impressive with showing my site as the number 1 listing. I never use this search engine just because the lack of the knowledge graph on the right side but still it did a great job. The image search only brought back one result which was a bit lacking. All in all I think the biggest shock had to be Google. The biggest surprise was Yahoo. The Razzie for worst search went to Ask.